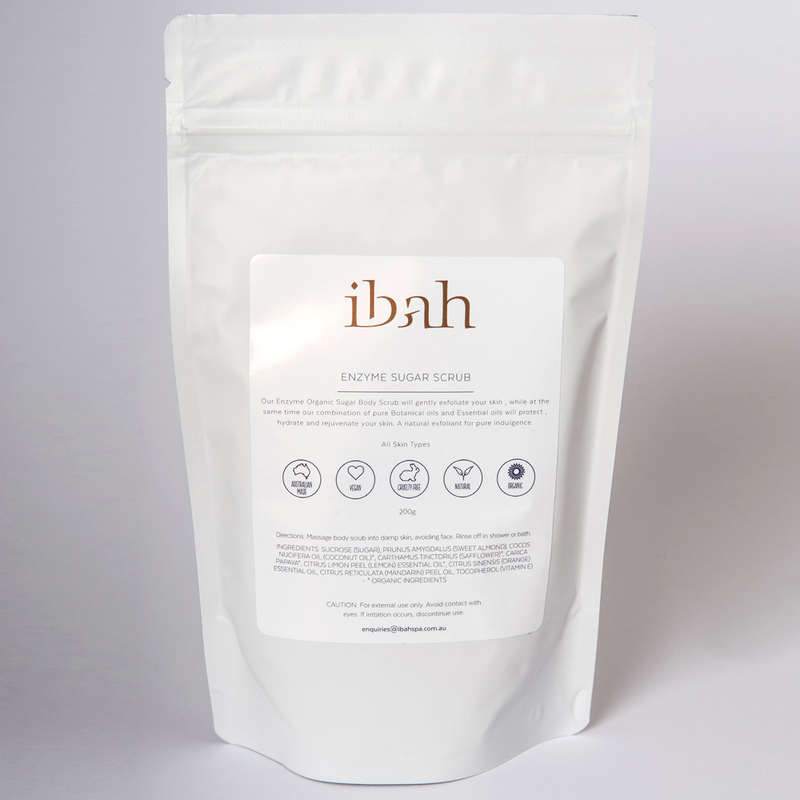 Our enzyme organic sugar body scrub will gently exfoliate your skin, while at the same time our combination of pure botanical oils and essential oils will protect, hydrate and rejuvinate your skin. A natural exfoliant for pure indulgence. All skin types except sensitive and in pregnancy. Sucrose (Sugar), Prunus Amygdalus (Sweet Almond), Cocos Nucifera Oil (Coconut Oil)*, Carthamus Tinctorius (Safflower)*, Carica Papaya*, Citrus Limon Peel (Lemon) Essential Oil*, Citrus Sinensis (Orange) Essential Oil, CItrus Reticulata (Mandarin) Peel Oil, Tocopherol (Vitamin E) – *Organic Ingredients.